It's Monday, it's a new week, and while we won't pretend to know everything that's going to happen over the next seven days, we have some sense of what's coming up. Here's your briefing on some of the most important and interesting stories happening in the week ahead. Istanbul's gigantic new airport opens fully to the public on Sunday. It will service more than 300 destinations and will have 500 check-in points, six runways and spaces to park 40,000 vehicles (a European record). If all goes to plan, this will become the world's busiest airport. First of all, the tricky job of transferring operations from the city's current hub, Ataturk airport, begins at 03:00 local time (00:00 GMT) on Friday. Then by midnight local time on Sunday (21:00 GMT on Saturday), the world's newest airport will be fully up and running. Istanbul Airport will be capable of handling up to 90 million passengers by 2021, and more expansion would give it a capacity of up to 200 million. That would be almost double the capacity of the world's busiest airport in 2017, Atlanta. But the airport has not been without controversy - at least 30 workers died during its construction. On Wednesday, Malaysia's former prime minister, Najib Razak, goes on trial over corruption involving the state's 1MDB fund. He faces charges including criminal breach of trust, which he denies. First of all: we know we previewed this trial back in February, but then Malaysian authorities moved it back at the last minute. The disappearance of billions of dollars from Malaysia's state fund was one of the biggest financial scandals in history, the full implications of which are still being understood. This is the first time for anyone to face trial over the scandal - and it's no less a figure than the man who was still governing Malaysia last May. This would have been the first full week out of the European Union for the UK, but the 29 March Brexit date was delayed last week. This was to allow the UK parliament more time to agree the terms of leaving the EU. Each new week has brought one unpredictable development or conflict after another, so we thought we would take this opportunity to remind you of some of the basics. What is likely to happen now? We've got you covered. What is Brexit? It's a question plenty of people have, and it's OK to ask. Overwhelmed by all the Brexit jargon? Walk this way. Tottenham Hotspur will play their first match at their shiny new stadium in north London on Wednesday. It's a whole new era for one of the Premier League's biggest clubs. And they'll be entering it in what their manager calls "one of the best stadiums in the world". 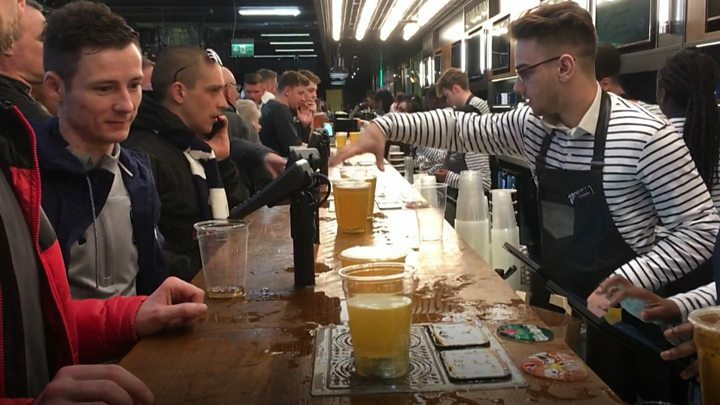 There's room for 62,062 fans, making it the biggest club ground in London, and it opens just ahead of the biggest match in Spurs' recent history: a Champions League quarter final against Manchester City. Before then, though, is the first competitive match at the new stadium, against Crystal Palace on Wednesday night.